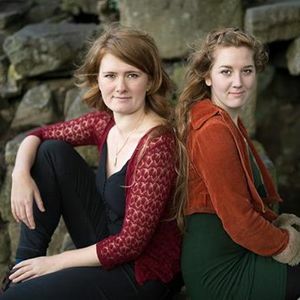 Winners of the 2016 BBC Radio 2 Folk Award for Best Original Track, The Rheingans Sisters make playful, powerful and richly connecting music that is wholly contemporary while deeply anchored in folk traditions. Drawing on their pan-European musical scholarship (having studied extensively in France, Sweden and Norway) and their spirited mission to make connections between the music of different geographical roots, they have developed a rich artistic approach to the deconstruction and reimagining of traditional music alongside their own beguiling compositions. Since the release of their award-winning album Already Home (2015) audiences across the UK, Europe and Australia have been captivated by their live performances; as full-hearted performers and on-stage improvisors - via the adventurous use of fiddles, voices, banjo, bansitar, tambourin à cordes, poetry and percussion - The Rheingans Sisters are a unique and unmissable act on the folk and world music stage today. Their hotly anticipated third album 'Bright Field' is released in March 2018. Fiddle-singers and multi-instrumentalists Rowan and Anna Rheingans grew up in the Peak District, surrounded by traditional music and encouraged to pick up the ﬁddle by their musician mother and violin-maker father from an early age. Rowan is a well known on the English folk scene as part of hugely popular BBC Folk Award nominated trio Lady Maisery as well as for her work with Nancy Kerr & The Sweet Visitor Band andthe Songs of Separation super-group alongside Eliza Carthy and Karine Polwart. Anna lives and works as a fiddle player in Toulouse and is an expert in southern French folk music, having recently gained a 1st class diploma from the Conservatioire Occitan. 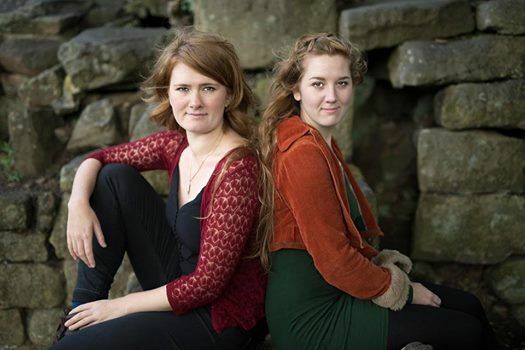 As both sisters have also spent a signiﬁcant amount of time studying ﬁddle music in Sweden and Norway, they pull a range of inﬂuences from both northern and southern European ﬁddle traditions into their own interpretations, compositions and arrangements.